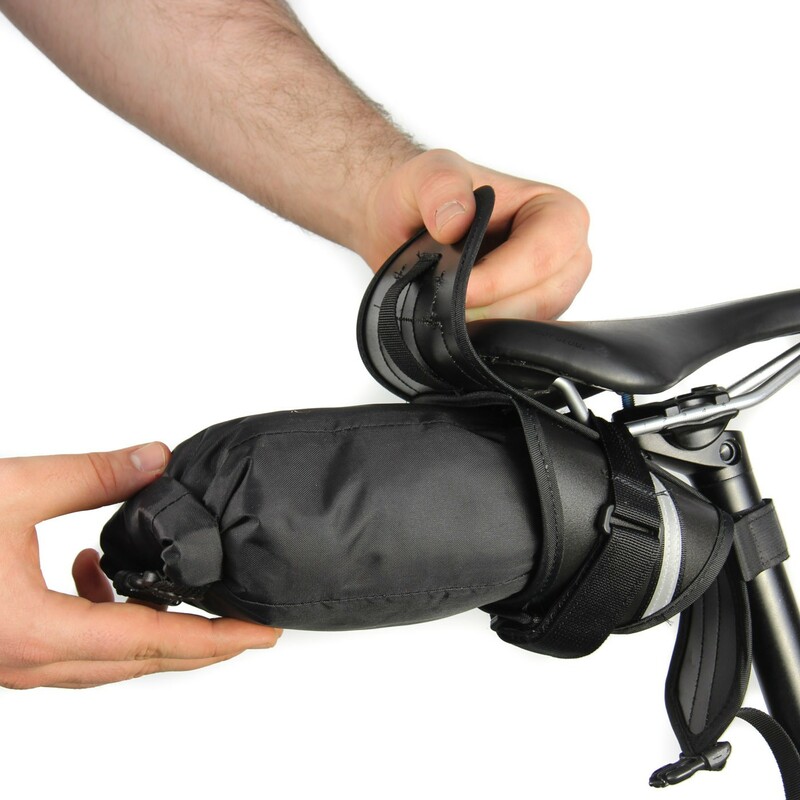 Our Seat Bag is 100% waterproof. 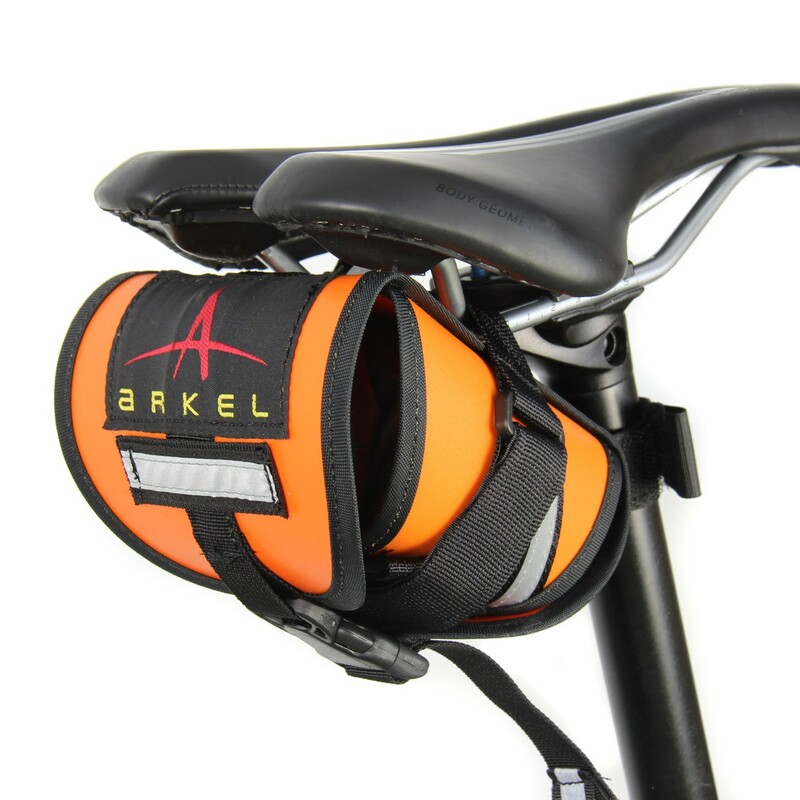 The waterproof pouch slides out to keep your tools and spare tube close buy while making a repair. 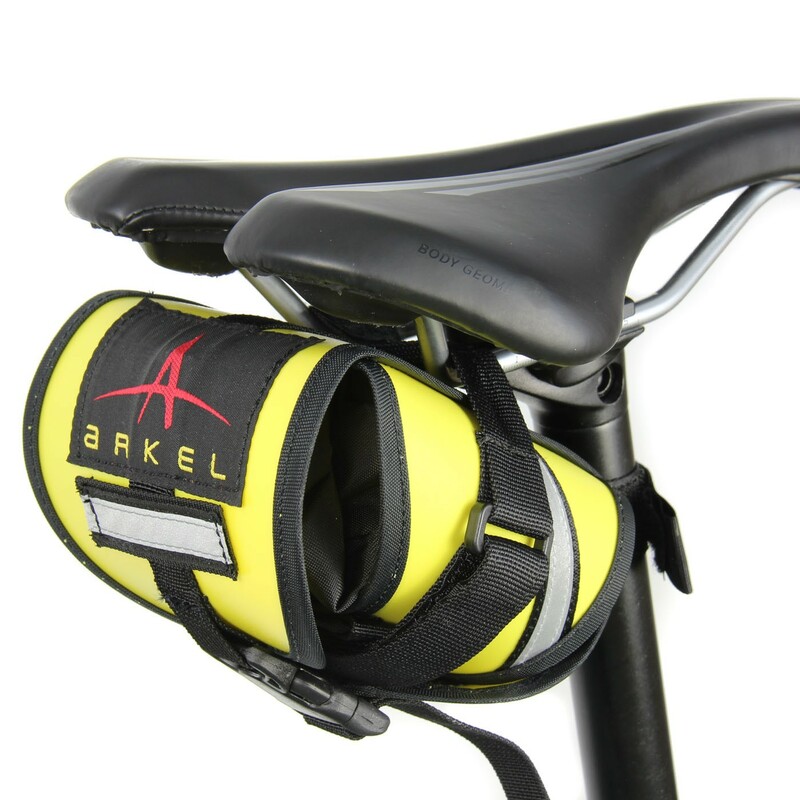 The Arkel Waterproof Seat Bag is made of a four panel shell that is attached with reinforced Velcro straps under the seat. 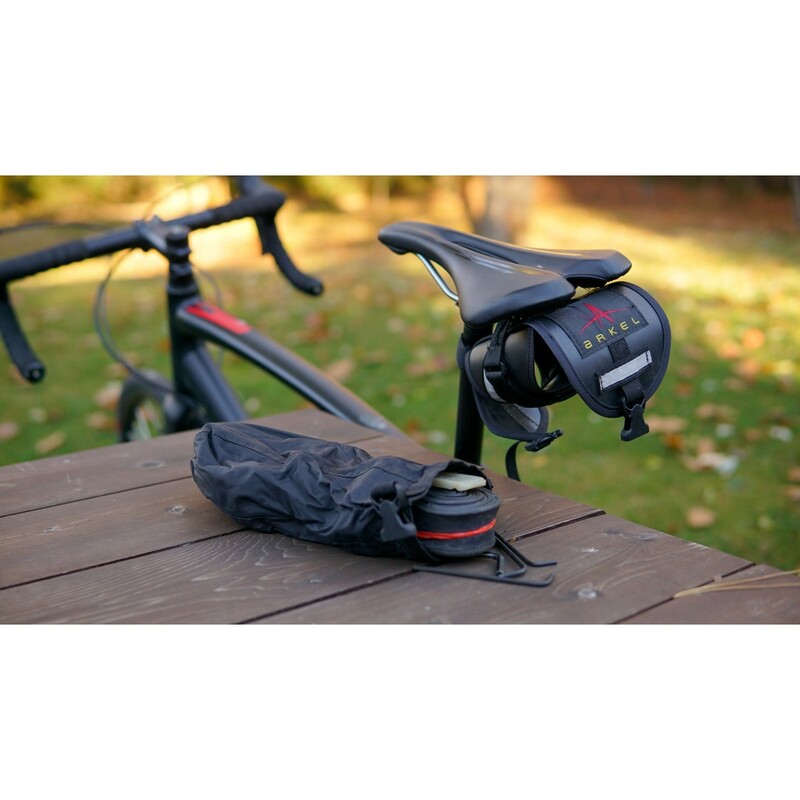 The waterproof pouch slides out in a second to keep bike tools and spare tube close by while making repairs. No zippers to operate. 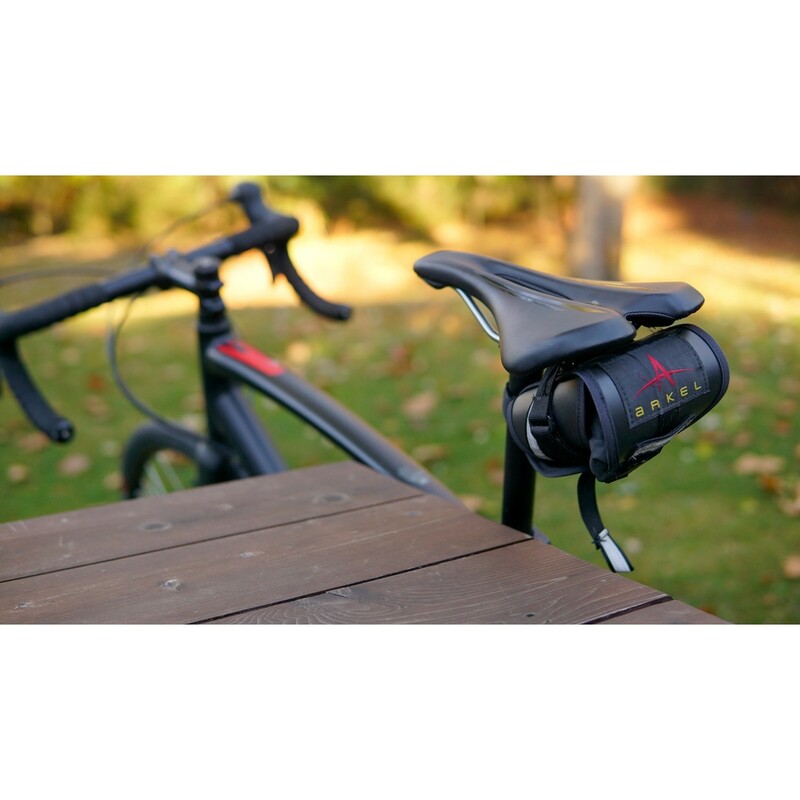 In addition to protecting the content, the shell compresses and stabilizes the pouch so that the whole bag attachment to the saddle is rock-solid. Everything stays dry in the worst deluge of rain or mud! Carrying a wallet and other essentials? 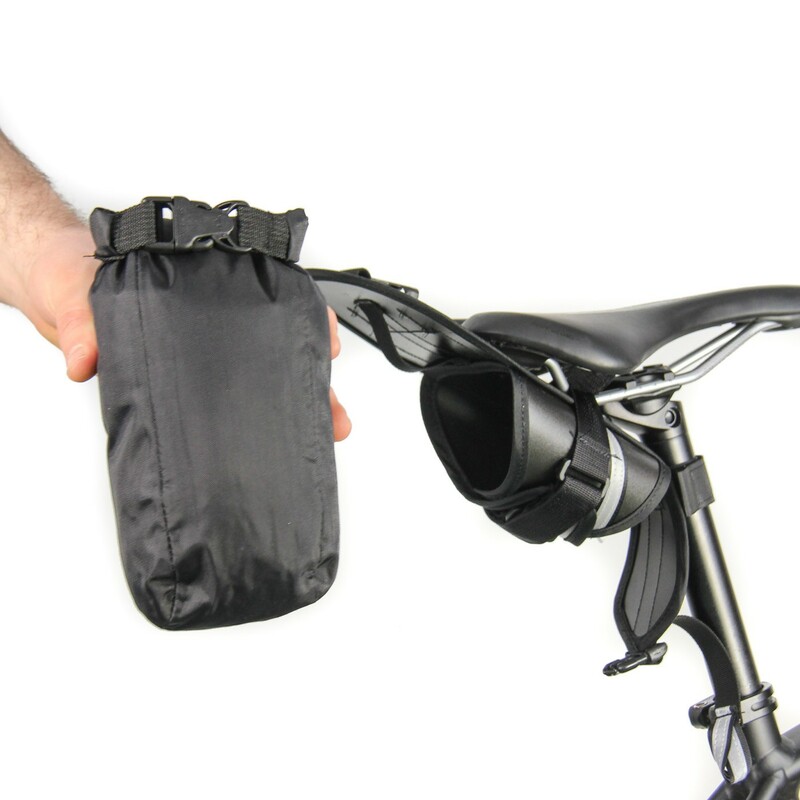 Pull the pouch out and bring it safely along with you. Best seat bag I've ever owned! I own 4 bikes. 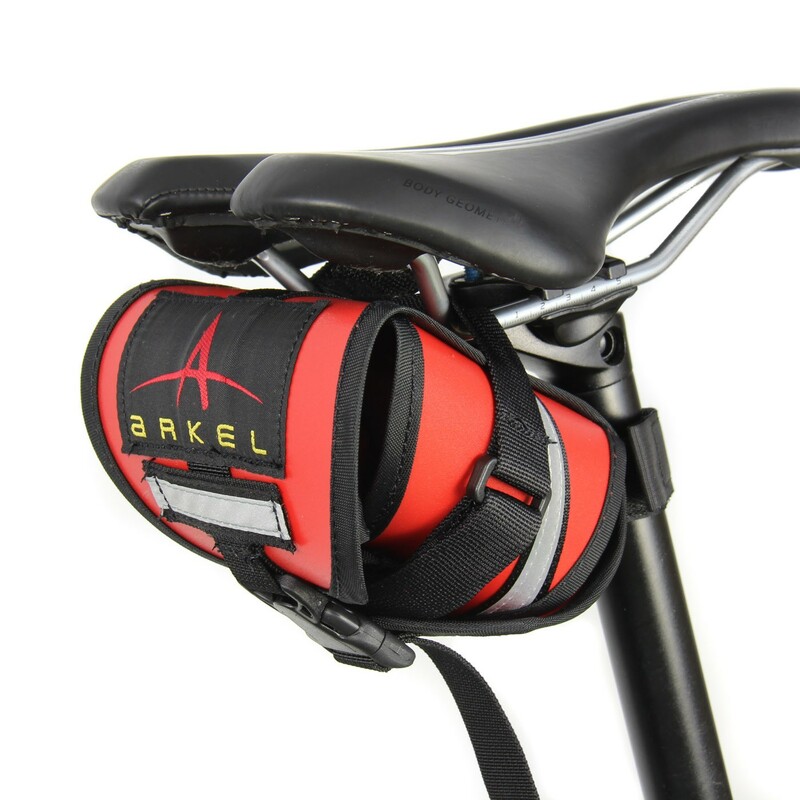 I plan on buying an additional 3 bags so that I can have one of these on each of my bikes. 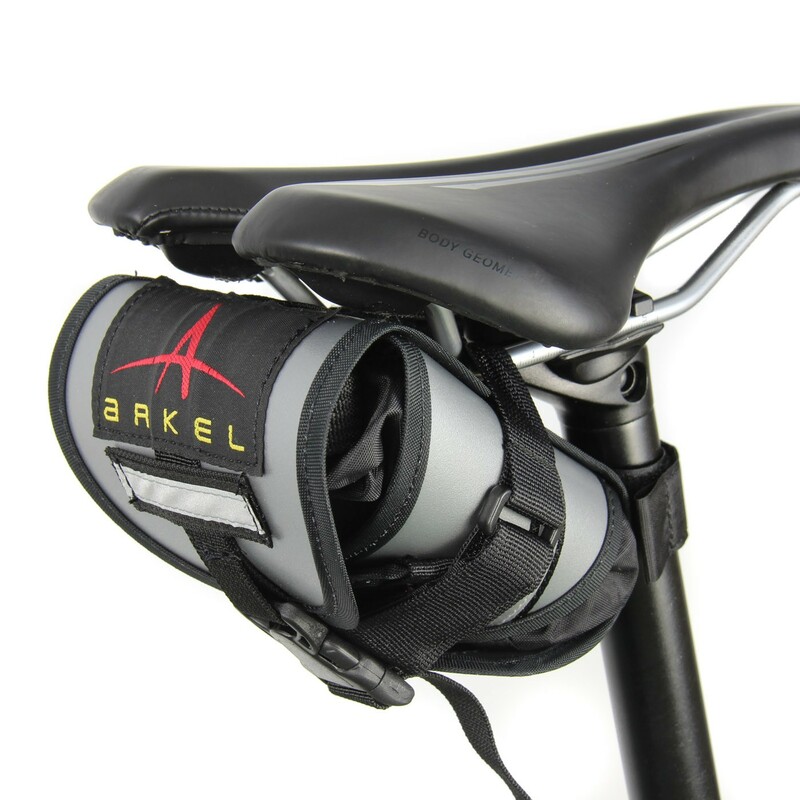 Also, the bag is waterproof, which is great for me because I ride a lot of cyclocross and always get mud and water all over my bike and everything, but nothing penetrates the items in my Arkel seat bag. I simply rinse the bag off in my sink and it looks brand new again. So easy. These seat packs are the bomb! Its such a phenomenal idea. I love being able to pull the pouch out and take it with me. 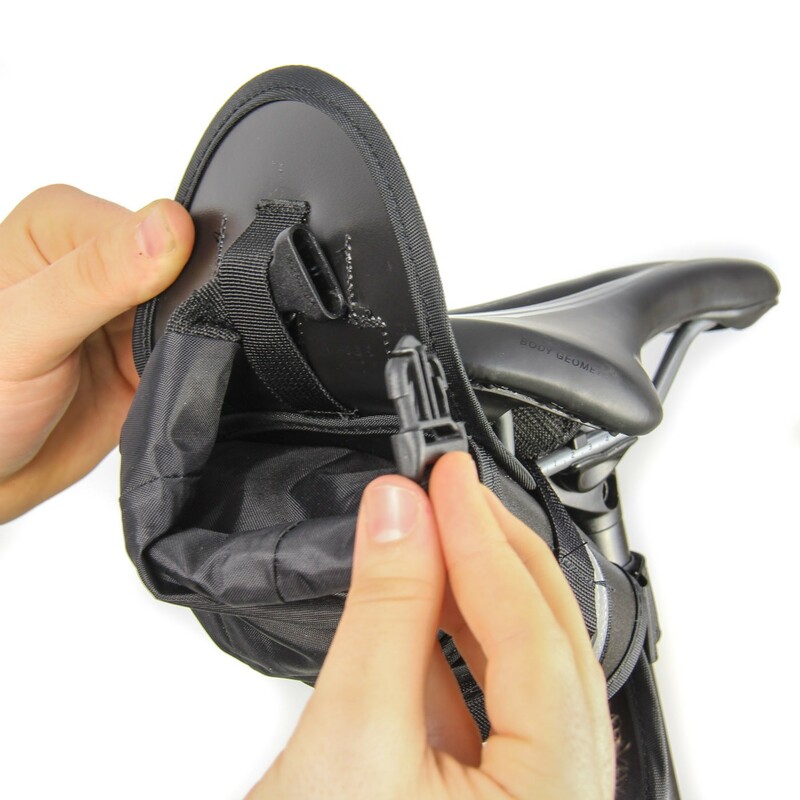 Plus when you are searching for something in the pouch, you hold it upright looking down in the bag versus one attached to the seat were you have to bend over and crane your neck around while small items fall out of your conventional seat bag. I attached it to my mountain bike and surprisingly there was no movement at all! Another great convenience about the removable bag is that I can take it out when transporting the bike (hitch rack) so my life-line of trail tools aren't traveling off the rear of my vehicle. I leave the shell on there but buckle it closed for transport. Solid construction and genius product. 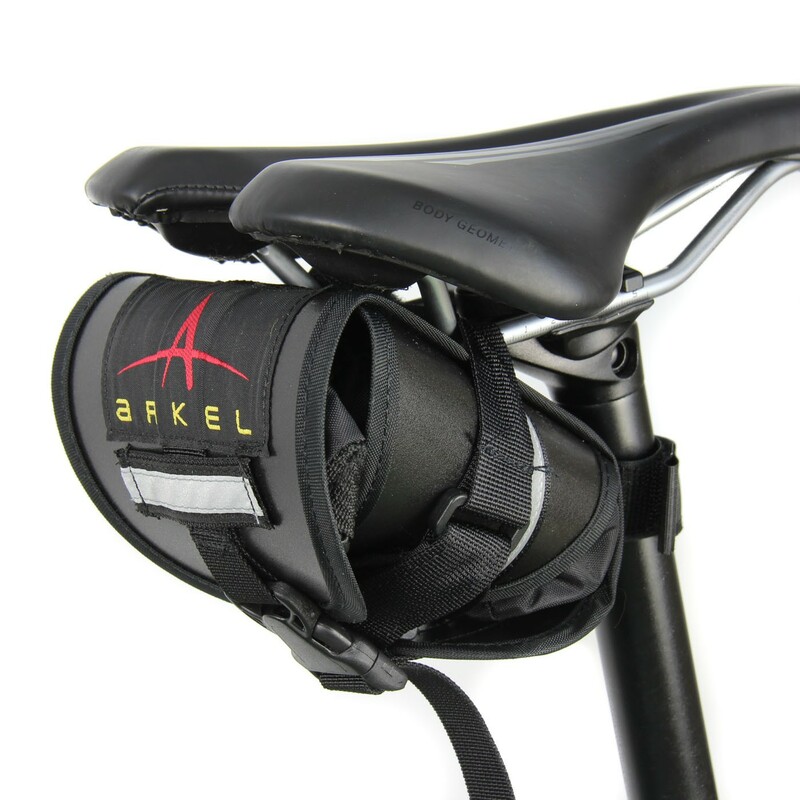 I have been using the space in my Arkel Seat Bag to put tools in on shorter tours. 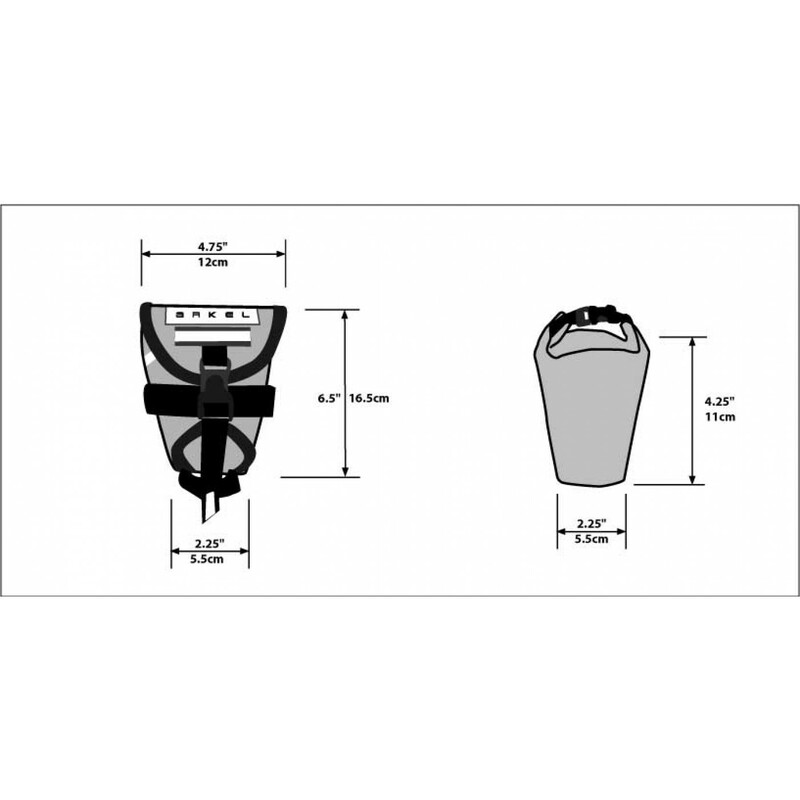 This bag is great It holds more than you think and is rock solid once attached. The ability to remove the bag quickly and then eaisly access your tools is great. I would recommend this bag to anyone. I just received my Seat Bag. Very solid. Attaches firmly. Sturdy construction. Waterproof insert is a nice idea. Great bag!